Zaragoza is the capital city of the Zaragoza province in the autonomous community of Aragon. It is located on the banks of the Ebro river and its tributaries, Huerva and Gállego, in an environmentally diverse valley. The area has a desert (Los Monegros), meadows, mountains and forests. Its privileged geographical position has caused the city to become a crossroads between Madrid, Barcelona, Valencia, Bilbao and Toulouse (in France); all of which are located about 300 kms from Zaragoza. 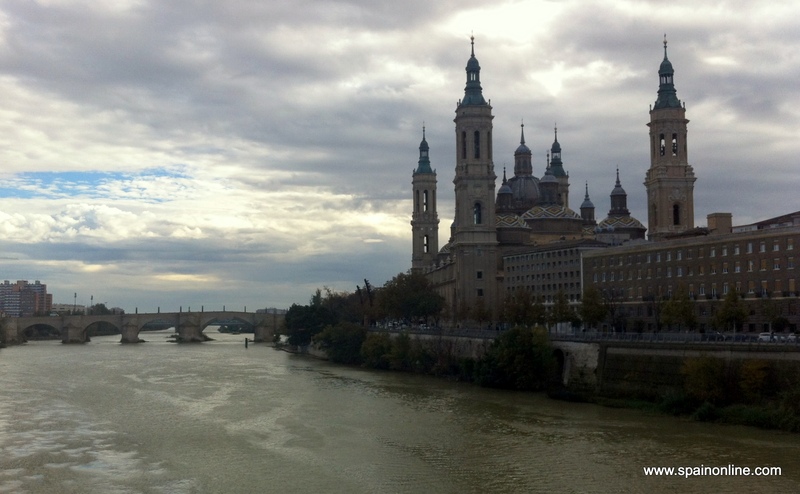 Zaragoza is known as "the city of two four cultures", thanks to its Iberian, Roman, Muslim and Christian history. The Romans, Moors, Jews and Christians all left their cultural legacy behind in the city's architecture and ambience. The old quarter of the city in particular is home to a number of emblematic and historically significant buildings. Some of the best places to visit inlcude: Aljafería Palace (the old Arab palace, which is currently the headquarters of the Aragonese Parliament), the Church of San Juan de los Panetes (the former seat of the order of the Knights Hospitaler), La Lonja Palace (the most important 16th Century civil building in Aragon, which houses many exhibitions throughout the year), the Pilar Basilica (the huge Baroque temple honouring the Virgin of El Pilar, patroness of the Hispanic world) and La Seo (San Salvador Cathedral), a magnificent chapel built over the city's main mosque. There are also a number of important museums in Zaragoza such as the Museum of Fine Arts and Archeology (exhibiting Aragonese Gothic altarpieces and works by Goya, El Greco and Ribera), the Pablo Serrano Sculptural Museum, and the Camon Aznar Museum (exhibiting paintings by Rubens, Rembrandt, Van Dyck, Velazquez, Goya, Renoir, etc). Or for the more adventurous visitor, the Metropolitan Water Park and Expo 2008 exbition may be more appealing. Sports enthusiasts will love its 9-hole golf course and white water canal for hydrospeed, kayaking and hydrospeed. There is also a jetty for canal trips, a botanical garden and a river beach. Furthermore, plans are also underway for the area to have a thermal spa with Arab baths, saunas, swimming pools and hydrothermal treatments. Traditional Zaragozan cuisine typically includes plain natural ingredients and requires minimal preparation. Common ingredients include borage (a type of vegetable from the Ebro valley) and sweet onions from Fuentes. Traditional dishes include "culecas" (cakes filled with egg and cured meat), "migas" (fried breadcrumbs), rice with borage and clam sauce, pigs trotters stuffed with wild mushrooms, "ternasco" (young roasted lamb) and "guirlache" (hard toffee made with caramelized sugar, almonds and aniseed, typically served at Christmas). There are also three increasingly reknown wine-producing areas in the province: Borja, Calatayud and Cariñena, with sparkling wine also made in Ainzón and Cariñena. Zaragoza is the only province in Aragon to include the three geographical areas that form Aragon: the Pyrenees, the Ebro basin and the Iberian mountains. As a result, the natural landscape in the province is incredibly diverse.Thanks to this diversity the province has a number of important protected areas, such as the Nature Reserve of the Galachos of La Alfranca and Juslibol, the Dehesa del Moncayo Nature Park and the Gallocanta lagoon.